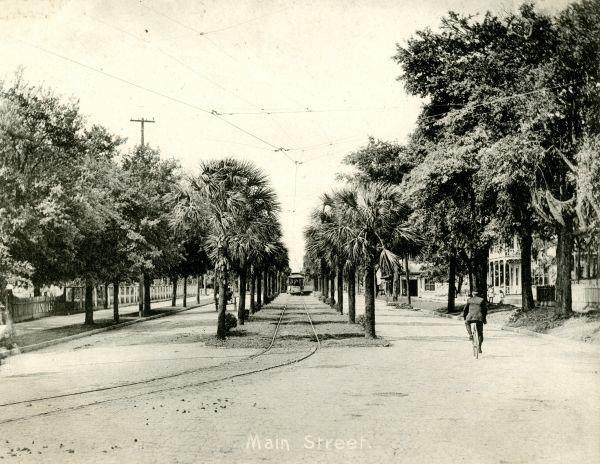 The Main Street streetcar line in Jacksonville was widely known as "The Most Beautiful Streetcar Line In The World." 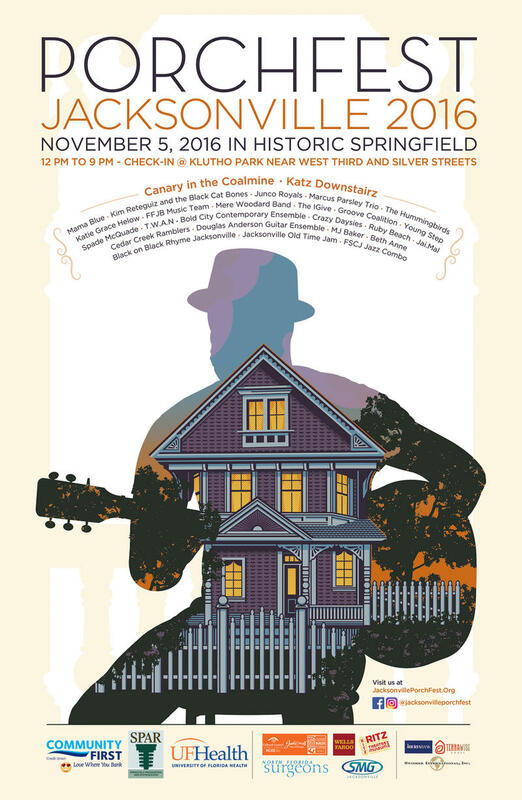 Jeff Gardner is a board member with the Springfield Improvement Association and Archives. He is in charge of the archives, including a pile of old streetcar rails in his colleague's yard on Walnut Street, located in the historic district’s east side. “These are the replacement rails that they put in because the trolley cars kept getting bigger and heavier and they needed something to actually handle the weight,” he said, pointing through the yard’s chain link fence. Gardner is keeping a pile of old Springfield streetcar rails and bricks that used to surround the tracks in his colleague's yard. He said this style of track used to run up and down this very street, which is why it’s wider than most. The same goes for Main Street. When the Springfield streetcar tracks were first installed in 1882 there was just one line from downtown, up Main Street, to 8th Street. “Early on they were actually powered by mules,” Gardner said. Eventually, the route became a loop, that’s where Walnut Street comes in. Then the cars went electric using an overhead line with a max speed of 12 mph. In 1907 a second set of tracks were added, allowing the cars to travel in both directions. 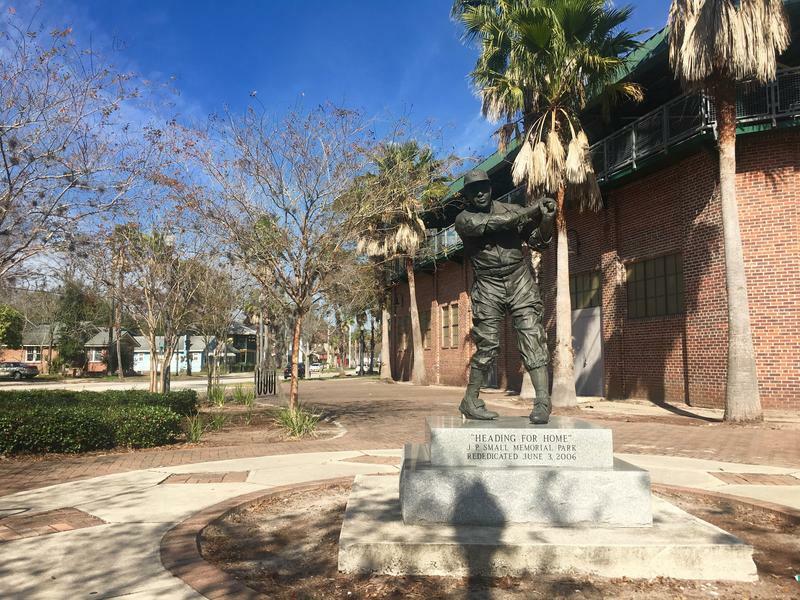 “That was when the city went on a publicity trip because at the point they were still trying to bring more tourists in Jacksonville and Northeast Florida,” Gardner said. Gardner flipped to a photo of the tracks which the city had lined with palm trees on both sides. “They advertised it as the most beautiful streetcar line in the world,” he said. Gardner holds up a book he used to research Jacksonville streetcars in front of Main Street, where the rail pictured on the book's cover used to be. Gardner said before Springfield’s streetcar system, the area was rural. But as it was developed, people from the middle and upper class moved in, Gardner said. Springfield residents used the cars to get to work downtown, and people who worked as servants for Springfield residents also used them to get to work. He said a streetcar ride was 5 cents. Streetcar routes popped up all over the city until 1920. The streetcars’ story is told with an exhibit behind a front window of City Hall, complete with original rails from when the cars were pulled by mules. As for the pile of rails Gardner is keeping in his colleague’s yard, he’s hoping to install a short span of them in the median of Main Street as a nod to the neighborhood’s past. A Jacksonville-based barbecue restaurant chain is looking to open up in the Springfield neighborhood. Listen to this story airing on 89.9 WJCT-FM.